Introducing the Robotic Fish Dishwasher, the Snail Induction Cooker and Sheep Vacuum Cleaner. From a field of 1,300, the top 25 concepts have been chosen from designers based in 17 countries across the world. Romania and China are represented by three entries each, the USA, India, Russia and Australia have two representatives and for the first time ever, entries from the Middle East and India. The 2010 edition of the Electrolux Design Lab competition received 1,300+ submissions from around the world (up 30% on 2009), with all manner of creative solutions for compact living. The 2010 brief asked industrial design students to consider how people will prepare and store food, wash clothes, and do dishes in the homes of 2050, when 74%* of the global population are predicted to live in an urban environment. 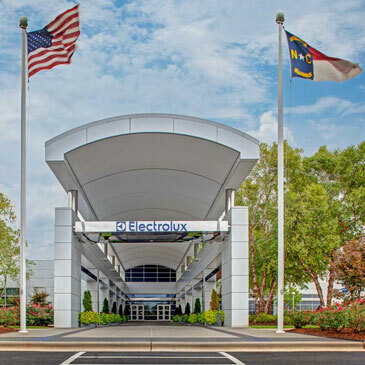 “Now in its eighth year, Electrolux Design Lab offers the designers of tomorrow an opportunity to test themselves and gain valuable insight in to the world of commercial product design.” says Henrik Otto, SVP of Global Design at Electrolux. “At this stage of the contest, we present the 25 responses that offer the most interesting solutions for future living and best consider efficient use of domestic space”. Eight finalists (announced by Electrolux week commencing 5th July) will be invited to present their concept to a jury of expert designers. The jury will consider entries based on intuitive design, innovation and consumer insight when awarding the first prize of a six-month paid internship at an Electrolux global design centre and 5,000 Euros. A second prize of 3,000 Euros and third prize of 2,000 Euros are also on offer.